It is the latter sentiment which is the focus of my article, specifically as it relates to veterans’ health care. Let me say at the outset this is not intended to be a sweeping indictment of every elected official. But let’s face facts: Since the 1970s, the number of veterans serving in Congress has significantly declined, and veterans account for only 14 percent of those in state legislatures. When so few have walked in the shoes of those veterans, can they effectively advocate for them? So, how are we really thanking Vietnam War, Operation Iraqi Freedom/Operation Enduring Freedom, (OIF/OEF) and other military veterans for their service? Of course, we have a massive federal agency, the U.S. Department of Veterans Affairs (VA), which oversees benefits and health care for eligible veterans. But we have all heard news stories detailing the challenges veterans face when accessing these services. I doubt anyone would argue that we need to improve health care for all eligible veterans, but recent actions by some in the “thank you for your service” crowd seem to send a different message. The president’s proposed VA budget for 2018 has major veteran advocacy organizations concerned for the future of veterans’ health care. The Disabled American Veterans (DAV), the Veterans of Foreign Wars (VFW) and the Paralyzed Veterans of America (PVA) are opposed to parts of the measure because it sacrifices veteran unemployability ratings to extend funding for the Veterans Choice Program. This is quite literally “robbing Peter to pay Paul.” In addition, the American Legion has formally expressed concerns with the proposed VA budget’s lack of funding for expanded mental health services. Another action by some in the “thank you for your service” group is unfolding as I write this. The Senate is preparing to consider health care legislation, the Better Care Reconciliation Act of 2017, which would repeal many of the provisions of the Patient Protection and Affordable Care Act (aka, Obamacare). The Congressional Budget Office released its findings on this proposed legislation, which, if enacted, is projected to result in a 35percent drop in Medicaid over the next 20 years. This would affect coverage for approximately two million disabled and low-income veterans who rely upon Medicaid rather than VA health care. 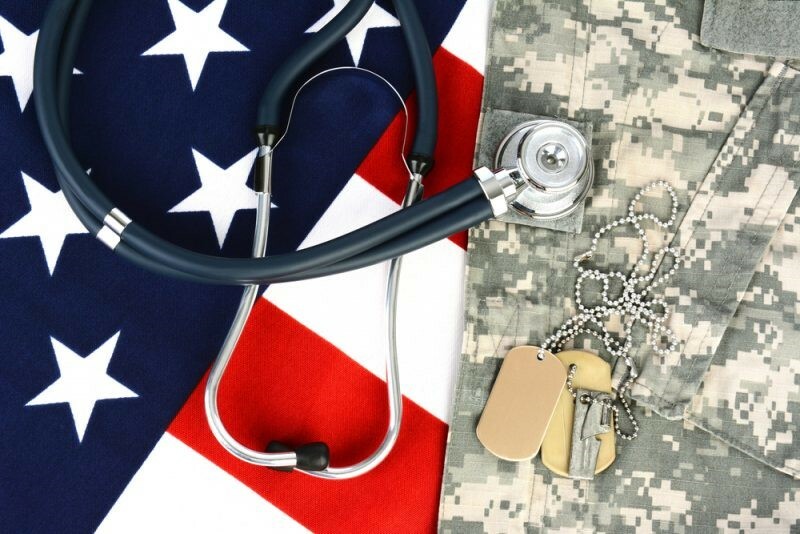 In addition to the loss of Medicaid, other projected effects of this proposed legislation on veterans include increases in fees for mental health services and reduction or loss of tax credits to help pay for their medical care. Proponents of the proposed legislation argue that the focus should not be on the Medicaid issue, but rather improving VA health care eligibility requirements so that more veterans can fully use the VA for all health care services. That means bringing more veterans into a VA health care system already facing challenges in providing timely access to health care to the currently eligible enrolled veterans. While there are no known current efforts to reform VA eligibility, Congress and the administration recently approved legislation giving VA employees greater whistleblower protections and making it easier to fire VA employees for wrongdoing – especially acts that affect the quality of veterans’ care. It is certainly a start to improving health care for our veterans, but it does not address the staffing shortages or the need for the additional health care resources our veterans need now. When reviewing these two potential budget scenarios related to care of veterans, I think my son is validly frustrated when he hears “Thank you for your service” from elected officials. He sustained some injuries during his deployment that left him to some degree disabled. He does not use VA health care services, as he has employer sponsored health insurance. Does he speak for all veterans? No, certainly not, but I believe his perspective might give us pause to think before we casually offer, “Thank you for your service” without considering what it really means. Author: Carmen Ashley is a doctoral student at Valdosta State University, and she is a public health analyst at a federal agency. She appreciates being a part of a family that includes four military veterans representing two branches of service. Her email is [email protected]. I have more sympathy for Vietnam Vets as they were not cared for until much later and many were not volunteers; however, as a veteran and current government employee, I am mortified by the entitlement attitude I see among most veterans. I work with people who get upwards of 70% disability for things that would have occurred had they not been in the military and are consequences of old age, life style choices and/or genetics. One colleague goes to the gym every day for two hours. He has no problem running or lifting weights and is 70% disabled for a combination of arthritis, Herpes Complex 2 and hemorrhoids! And no, he did not sit on a horse for his career or I might sympathize with the hemorrhoid diagnosis. Our soon-to-be retirees go back and forth about how they can pad their disability checks. It is appalling! This is one reason our sickest and most injured cannot get treatment. If we said you get a choice – a retirement check OR a VA check, most of this would end. In policing, you get a choice – medical retirement or regular retirement, and I can argue that a lifetime of policing is more stressful than a year (or 2) in a combat zone (except for those actually fighting – a relatively small number) – and yes, I’ve served in a combat zone and was a city police officer for many years. The VA was supposed to take care of those injured in combat and those that had medical malpractice issues (remember, soldiers cannot sue for medical malpractice). It was never designed to pay soldiers for anything else. “Service connected” is a JOKE! “Double dipping” is just WRONG and takes away from other more deserving programs. My husband is a Viet Nam Vet who shot and still has the bullet lodged in his back near the spine. He had one appointment at the Long Beach California VA facility where he sat all day and was never seen. He will not go back to the VA. He receives VA benefits as slightly disabled, but is in constant pain from the back surgeries in the field and Japan on his way home. He has some elements of PTSD that was unrecognized but I have dealt with over the years. I feel that there are many more stories like his, and your son’s, that are out there. The public must make the VA system accountable for the service connected medical issues. What is frustrating is that there are many health care providers who would participate more if they were better paid. Please include me in any discussions on this issue. Thank your son for his service.